Kia building a pickup? Apparently, it's not as easy as it sounds. If there’s anything we’ve learned about Kia ever since it exactly a year ago, it’s to never underestimate it. Speaking at Detroit with Orth Hedrick, vice president of product planning for the US, the subject of pickup trucks came up in light of the . Is a pickup truck something Kia is thinking about? Possibly a re-skinned version of the upcoming (car-based) Hyundai Santa Cruz urban truck? “I told our management the thing about trucks is that they have to be authentic. Body on frame. You make one little move off the recipe and it’ll be a disaster” Hedrick said. “I said look at the (Honda) Ridgeline. They ran that thing for five or six years and they never made over 1,500 a month off those things. They’re getting a little more traction with the new Ridgeline…but the truck formula is so specific and if you go a little too far out there it’ll go in the wrong direction. I think the Ranger is the right direction." Hedrick also proudly told us he’s a truck guy, having owned several and still drives one today, so he understands this segment and buyers perfectly well. “If you want to come out the best do it with a small commercial truck that will last 200,000 miles. Run that thing for five years, get a reputation they’re bullet proof. That’s what those truck guys want. Hardware is important to them. I think there’s a reemergence of the mid-size truck and it’d be fun to be a part of that.” That all said, Hedrick emphasized that Kia is only having some early discussions about a mid-size pickup, and no development decision has been made yet. The plan now is to continue watching this segment and see how things go and if the Ranger will be a hit, as many expect it will be. 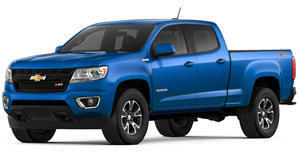 If GM also continues to see strong Chevy Colorado and GMC Canyon sales, then Kia may be tempted to make a move. 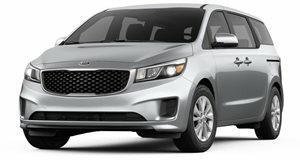 Based on Hedrick's comments, it sounds like Kia knows better than to simply rebody the Hyundai Santa Cruz and call it a day. Only a true body-on-frame pickup truck with the necessary features and toughness will do. But here's perhaps the biggest issue for Kia: Ford and GM, as well as Toyota, have a stronghold on the truck market. Once the Ranger launches, all three will have mid-size truck on sale with plenty of loyal buyers for each. Question is whether Kia can lure any of those buyers away. It's not an easy sell. Minivans may not be classically cool, but their day is coming back around.